Annabell Elizabeth Perkins, 65, of Klamath Falls, Oregon passed away quietly at Sky Lakes Medical Center on Monday, October 8th, 2018. Annabell was born to Alice and Daniel Bennett on December 21st, 1952 in Kew Gardens, New York. 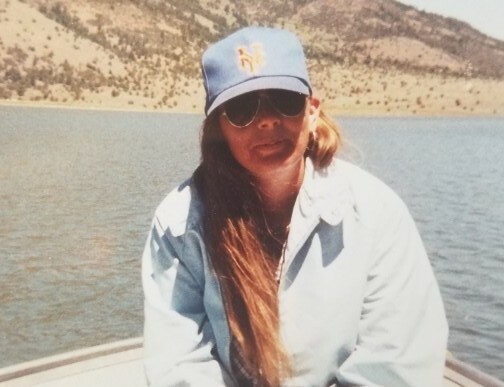 Annabell moved locations several times in her life after growing up and attending East Islip High School, in New York, then moving to locations in California and Oregon before settling in Klamath Falls, where she lived for almost 30 years. Annabell married twice in her life, and was preceded in death by both husbands. Before they passed, Annabell had two strong and persistent daughters, Jacqueline and Anna-Lisa. Annabell loved puzzles, crafts, crochet, and combing the beach for shells and other treasures. She was outdoorsy, and loved the lakes and ocean dearly. She loved very few things, such as her family, more than she loved the ocean. Annabell was best described by those closest to her as determined, persistent, and stubborn. It was either Annabell’s way or no way at all, and while some might find this trait grating- her own family included at times- it was this tenacity that made Annabell such a vibrant force in the lives around her. Annabell is unforgettable to those who knew her, and will be deeply missed. Annabell is survived by her two daughters, Jackie, Anna- Lisa; her brother, Michael; her sisters, Kathleen (Kathy); Alice; 5 grandchildren; and 1 great grandchild. Annabell is preceded in death by her husband, Robert W. Perkins. Annabell requested no reception or service, only to be scattered to the sea and be reunited with the whales and the ocean that she so loved in life.